The U.S. Department of Health and Human Services defines Sleep Apnea as a disorder characterized by disruptions in breathing such as pauses or periods of shallow breathing while sleeping. These disruptions may last for as long as a few minutes and can occur many times, typically after loud snoring. People with Sleep Apnea often feel sleepy or tired during the day, and it may also cause hyperactivity in children. Wearables are being used as a sleep tracker with increasing frequency. The diagnosis and monitoring of Sleep Apnea requires cost-effective wireless technologies, especially in areas where doctors and patients are geographically separated. These technologies can also allow researchers to investigate the causes of Sleep Apnea to develop better treatments. Wearable devices are an unobtrusive method for obtaining the necessary data with minimal effect on the patient. Continuous positive airway pressure (CPAP) is the most common treatment for moderate to severe Sleep Apnea. This technique uses pressurized air to keep the patient’s airway open, typically by wearing a facial mask connected to a machine. CPAP is effective in improving the outcome of Sleep Apnea, but patient compliance can be a limiting factor due to the discomfort of long-term use. A wearable device, or wearable, is an electronic device with a micro-controller that can be worn directly on the body or incorporated into clothing. They often have internet connectivity, making them part of the Internet of Things (IoT). 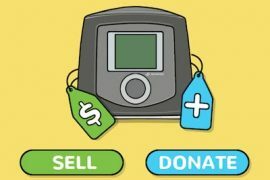 The cost of wearable technology dropped to a level that would allow widespread adoption by 2009, and sales began growing rapidly by 2013. Smart watches and activity trackers are some of the best-known examples of wearables in consumer electronics, although its uses are expanding rapidly as the technology develops. 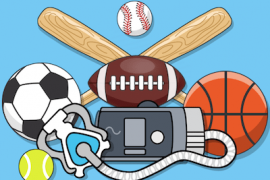 Professional athletes are also using wearables to obtain real-time monitoring and feedback on physical functions such as movements and energy expenditure. Other current applications for wearables are found in navigations systems, advanced textiles, and healthcare, especially elder care. Wearables can collect biometric data to provide valuable information on the heart, brain, and muscles. They also have great potential for generating big data, so researchers are shifting their focus to the development of algorithms that will provide insight into the collected data. Neural networks and statistical classification are currently the most promising data mining techniques for the data gathered by wearables. How do wearables track sleep? 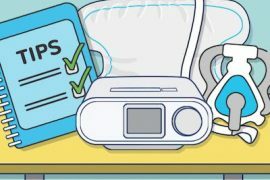 A 2018 study published in the U.S. National Library of Medicine assessed the use of home Sleep Apnea testing (HSAT) devices for assessing Sleep Apnea. These devices included smartphones, smartwatches, and other wearables. The rapid development and application of a sleep apnea tracker is largely due to the increasing prevalence of Sleep Apnea. The reference standard for the diagnosis of Sleep Apnea remains cardiorespiratory polysomnography (CP), which is a multi-parametric sleep study of heart and lung functions. However, the testing capabilities of HSAT devices have been getting more accurate and specific to Sleep Apnea. The SCOPER scheme has been developed to evaluate and categorize HSAT systems by validating the most important functions for diagnosing Sleep Apnea. The SCOPER process checks the functions needed to characterize Sleep Apnea rather than simply merely counting individual apnea events. For example, it evaluates an HSAT’s ability to distinguish between central and obstructive apnea, which is vital for developing an effective treatment plan. This evaluation scheme thus allows new sensors and software to meet the criteria for a successful diagnosis of Sleep Apnea. HSAT systems also need to evaluate the severity of the Sleep Apnea when reporting measurements. 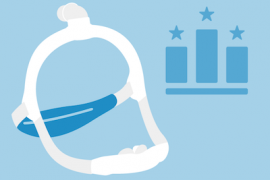 How do wearables help with Sleep Apnea studies and sleep centers? Clinicians can accurately estimate sleep behavior in a sleep center for up to 42 minutes by using smartphones that analyze light, noise, and acceleration, according to a 2013 paper published at the 7th International Conference on Pervasive Computing Technologies for Healthcare. Manufacturers will continue to add external sensors to consumer wearables that allow them to assess other signals. An oximetry probe that measures the oxygen saturation of the wearer’s blood is one of the most promising types of new sleep apnea technology. Continuous monitoring of oxygen saturation combined with pulse rate during sleep provides excellent validation results for this application. However, it also increases the demands of a wearable with respect to battery power, graphics control and signal processing. The efficacy of long-term oximetry has already been evaluated for monitoring patients with Sleep Apnea. A 2013 study published at the 13th IEEE International Conference on BioInformatics and BioEngineering combined external oximetry with a built-in microphone to measure respiratory effort and a built-in accelerometer to measure movements. The sensitivity of this technique in classifying obstructive Sleep Apnea was 100 percent with a sensitivity of 85.7 percent. Smart watches can sometimes be used in a home sleep study since they can detect biological signals without the need for external sensors. An internal sensor on a smartwatch can record the wearer’s pulse wave, which an algorithm can use to extract oxygen saturation and heart rate values. A smartwatch used as a sleep apnea monitor could also transmit these signals to a smartphone with more battery power, memory and computational capability. The personnel who can access this data and the methods they can use vary greatly by country, which is a significant consideration in the development of wearables that record biomedical data. For example, the United States has strong regulations for the protection and transparency of personal data. However, usage data is routinely transmitted to service providers in Australia and European countries. Germany requires a clear distinction of tasks between physicians, service providers and health insurance. As always, it is recommended to check with your doctor to discuss a diagnosis and treatment plan for Sleep Apnea if you suspect you may have symptoms. While home sleep tests are growing in popularity, your doctor may still order a sleep study in a sleep lab for more extensive testing. The most popular wearables used as a sleep apnea detection device include products from Garmin, Fitbit and Apple. The latest Forerunner and Vivoactive line of Garmin sports watches have features that allow them to monitor Sleep Apnea once the user applies a software update. These watches record motion and heart rate data and combine them to obtain greater insights into the wearer’s sleep behavior. This capability was previously available on earlier models only for stress-tracking purposes. The Vivosmart 4 from Garmin also helps those looking for advanced sleep tracking by offering a built-in pulse oximetry mode that can monitor oxygen levels during sleep. Fitbit watches have provided wearers with sleep readings broken down into light, deep and REM stages since 2017. Diagnosing sleep apnea with a Fitbit requires heart rate sensors, aggregated data, and proprietary algorithms to interpret sleep patterns. Fitbit’s latest Ionic watch has a new sensor that detects oxygen levels. Its sensors also emit green, red and infrared light, whereas the sensors on earlier Fitbit products only emitted green light. A 2017 study by the University of California San Francisco (UCSF) and Cardiogram evaluated this company’s Apple Watch app ability to detect physiological conditions. The accuracy of this app was 90 percent for Sleep Apnea and 82 percent for hypertension. The Cardiogram app uses an algorithm called DeepHeart, which was trained with the data from 70 percent of the subjects in the study and tested on the other 30 percent. What do you think about the use of wearables to monitor Sleep Apnea? Please comment and share.